If you love growing perennials, you will probably have an iris or two in your garden. There is nothing quite like a re-bloom of your favorite flower later in the year. A re-blooming iris gives me a chance to enjoy the beauty twice in one season. Readers of my blog know that I am a fan of all types of irises. My mother used to plant them everywhere and I think of her when I see them. I have many of varieties of them in my garden. But I am always looking for new and unusual colors and styles. These lovely varieties are all available from American Meadows. Grow a Re-blooming Iris for a second round of color. Re-blooming irises give you a second burst of color. Re-bloomers are also called “remontants” are irises that produce two or more flushes of bloom each year. Cycle re-bloomers produce a spring crop of flowers, then lie low during summer, but surprise you i the fall when they flower again in the fall. Repeaters produce new flowers soon after the first spring flush dies back, extending the bloom season to one to two months. These are such a delight! All-season re-bloomers – my favorites, produce flowers irregularly throughout the season. In general, farther north you live, the less reliable is the re-bloom. Gardeners in Zones 3 and 4 may see little or no reblooming. Also, if you live in a tropical climate, you may not see a re-bloom, since the reblooming cycle is set off by cooler weather. Also, some varieties will not start re-blooming for a couple of years, so patience is a virtue as is always the case with gardening. 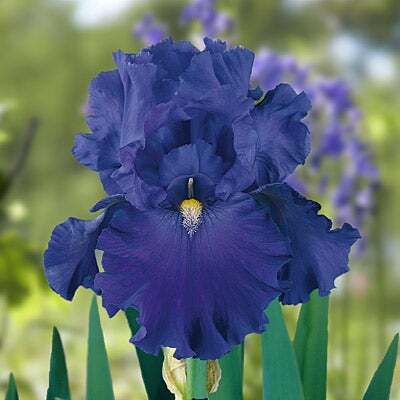 Irises are typically planted in the fall to bloom in the spring, but many companies are sold out by the time fall planting comes, so I order mine early to make sure I have them when it is time to plant. The online companies are great about shipping when it is planting time in your zone. Here are some that I want to plant next year. All but one of them are re-blooming varieties. Just click on any of the pictures for more details and pricing. Unless noted otherwise, mages are courtesy of American Meadows. 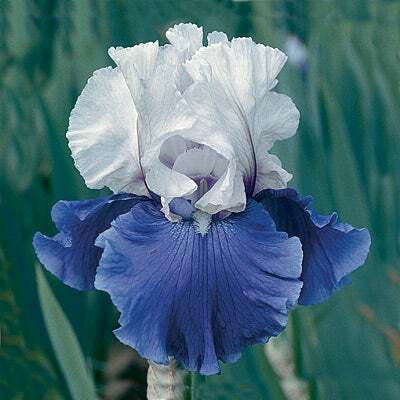 Sugar blues Bearded Iris. This one re-blooms for a second burst of color! Mariposa skies. Another re-blooming variety with a clear divide of blue and white. Love the color! 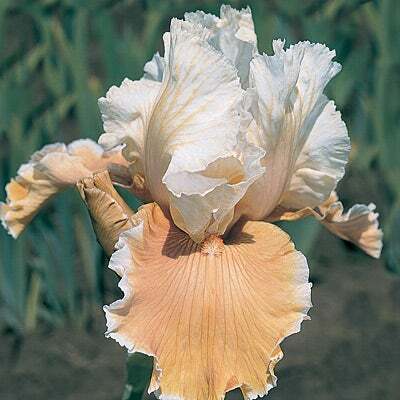 Re-blooming Bearded Iris English Charm is unusual and stunning. Orange falls and white petals. 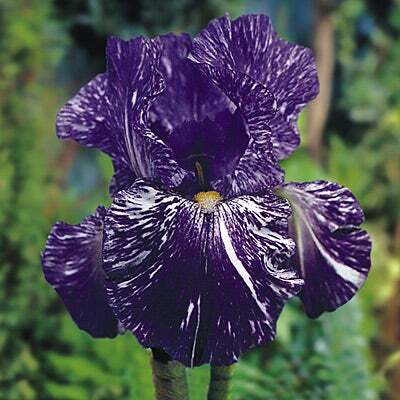 Dramatic Bearded Iris Batik – deep purple with white splashes of color. 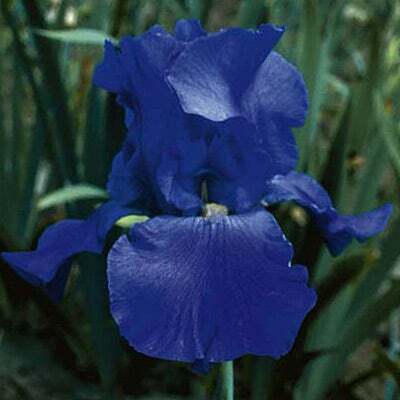 Bearded Iris Blue Suede Shoes: This striking re-bloomer produces dark blue ruffled blooms with shining yellow beards. ← My Favorite Window Seat Ideas – Time to Read! My mother and grandmother had purple irises that smelled like a grape popsicle. Your post reminded me of this iris. Does your’s smell?